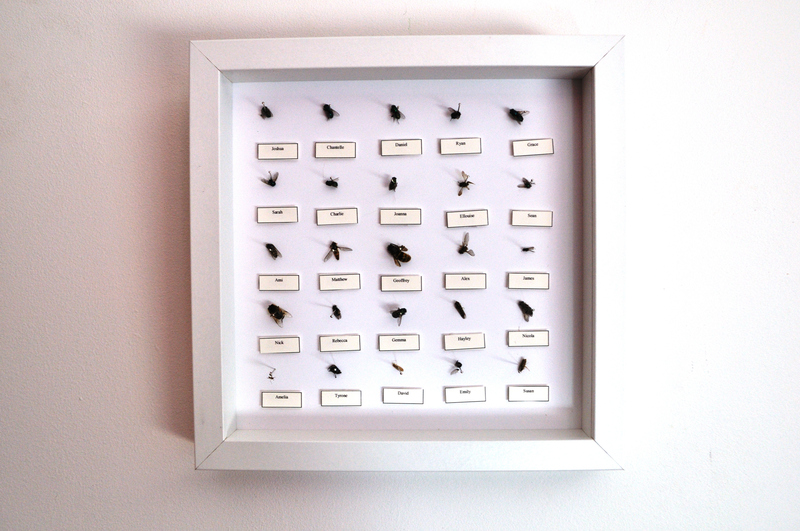 a collection of found insects collected from around my house, named after people that have stayed round- brings to light the amount of insects and creatures which we share our living quarters with- all of which after the initial annoyance if a fly- we are un aware of. They soon dye and are replaced by a new tenant. 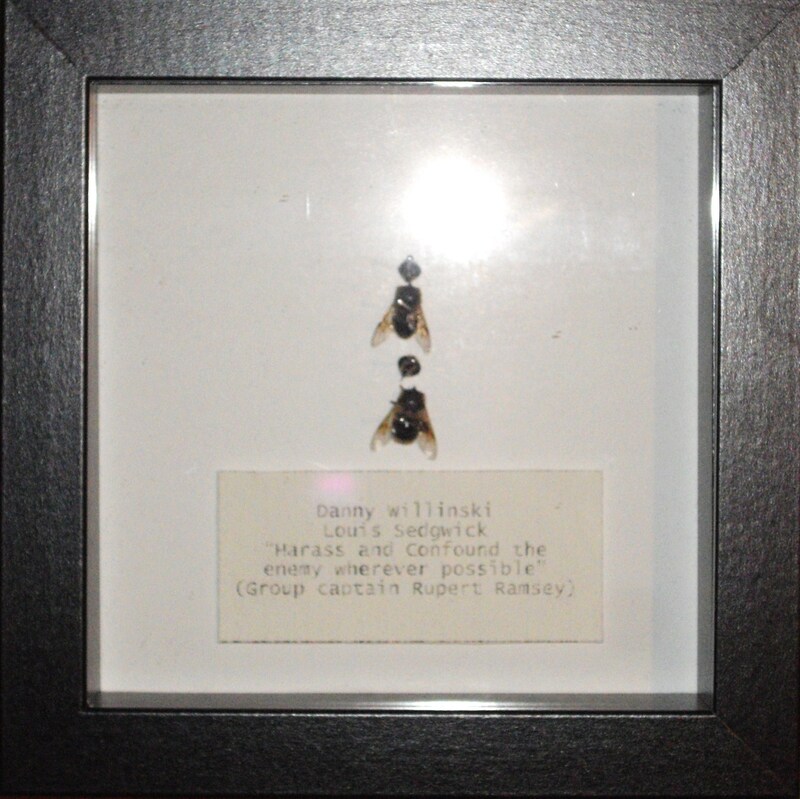 Two found house flies which I collected from my house, mounted, named after 2 pilots in the film ‘The Great Escape’ with a quote from the group captain “Harass and confound the enemy wherever possible”- playing on the way we name and share/put human qualities onto pets- in tern we empathise with them. 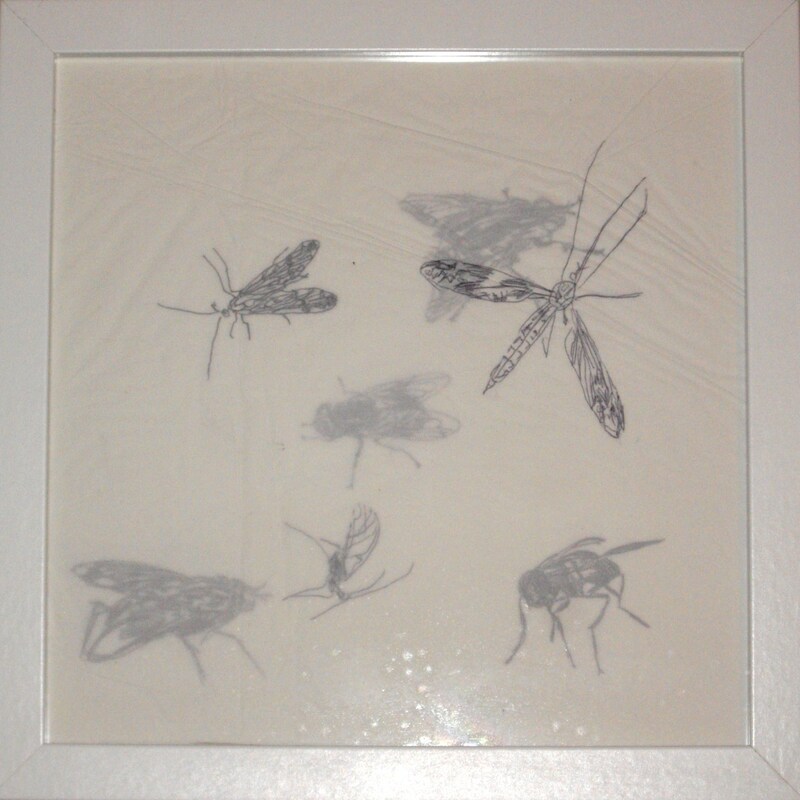 With this I have been looking into the way we inhabit a space and how the environments we exist in effect that of nature. We co-exist within a space, they get accidently contained, struggle to get free form the containers we live. 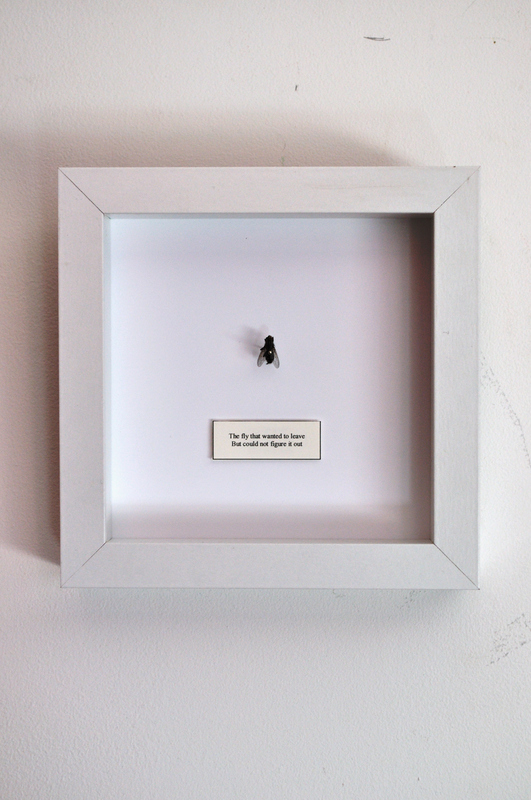 Exhibiting my ‘Room to Rent’ piece and listening to peoples responses during the show, inspired me to put personalities to the insects of which i collected from around my living space.